Ancient Roman Emperor Nero's once opulent palace is being brought back to life by virtual reality. Visitors can experience what the ruin once looked like in incredible detail by donning a VR headset. The Domus Transitoria (the transit house, which allowed Nero to move between the Palatine hill and the Esquiline hill) was the first lavish residence of perhaps Rome's most notorious emperor, before the more famous Domus Aurea (Golden Palace) was built after the 64 AD Rome fire. The Great Fire of Rome consumed most of the city over the course of a week, with some blaming Emperor Nero (who famously "fiddled while Rome burned"), who in turn blamed the Christians. Modern-day visitors to the palace must descend underground to see the palace's rooms and gardens, which were later covered by other constructions and debris. The building was richly decorated by frescoes, colourful marble from Italy, Greece, Egypt and Turkey, and fountains. "Nero wanted an atmosphere that expressed his ideology, that of an absolute ruler, an absolute monarch, therefore this was a place of great opulence and wealth," explains Alfonsina Russo, manager of the Colosseum Archaeological Park. 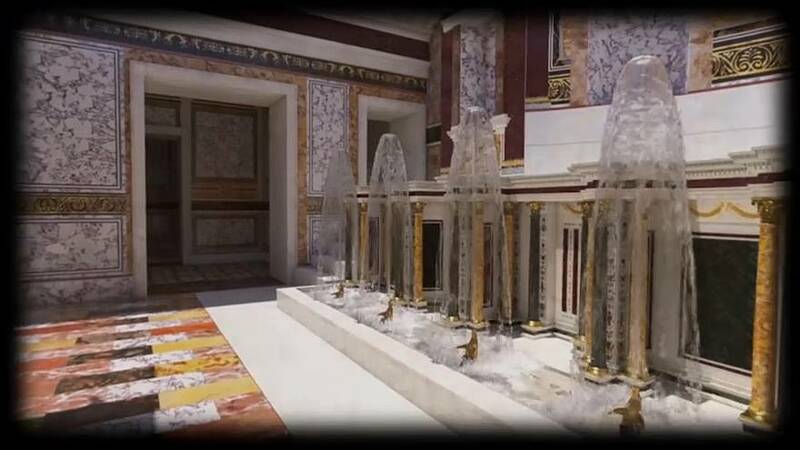 When wearing the VR goggles, visitors see the richly decorated walls and ceilings in their original glory and a 3D reconstruction of the Nymphaeum, the garden with fountains dedicated to the Nymphs. The palace opened to the public on Friday, after almost ten years of structural works and restorations.